Where to see the best Christmas decorations! Some people get so excited for the Christmas season. The decorating can get a little out of hand. Anyone who has seen National Lampoon’s Christmas Vacation knows what I’m talking about. Here’s a list of the best decorated towns to get you in the holiday spirit! 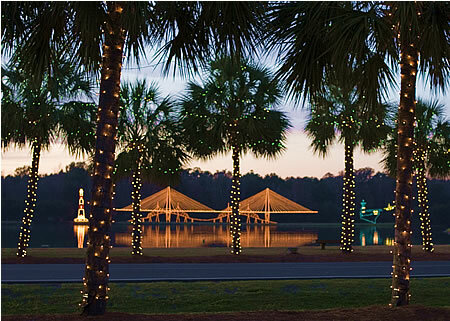 Charleston, SC: Charleston’s Festival of Lights celebrates the Christmas season by lighting up every surface of the great city. From November 11th through the first of January you can revel in fairy light wrapped palm trees and wreathed antebellum mansions. New Orleans, LA: New Orleans City Park claims to have the best Christmas lights show in the whole country. The celebration is paired with a carnival and winter market. So grab a chicory coffee and head over to enjoy hundreds of twinkling displays set in an Oak grove. New York City, NY: No Christmas list would be complete without mentioning this city. Arguably the best known Christmas tree lighting in the world. Rockefeller Center is home to the towering ode to the Holiday season. Visitors can ice skate below the tree or watch the lesser known light show, which tends to be overshadowed by the tree but is just as spectacular. McAdenville, NC: Christmas Town USA or so they claim. This year marks their 61st year of the annual celebration. The town has a total of 375 trees decorated throughout the town for visitors to view. New Port Beach, CA: We can’t leave the west coast out when celebrating Christmas. The New Port Beach Christmas Boat Parade celebrates its 108th anniversary this year from December 14-18th. Each night a parade of boats from luxury yachts to recreational kayaks are decorated from stern to bow. The town also makes sure to join into the fun, lining buildings from roof to road in twinkling lights. It doesn’t matter how you celebrate, there are a variety of different ways to celebrate the holiday season. Is there someone in your neighborhood or town that rivals one of these big city installations? Post a picture in the comments and let me know! You never know what’s outside your front door until you explore. Until next time!